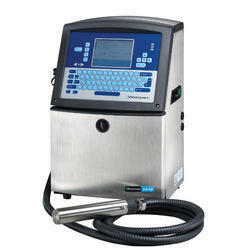 Our range of Gold Series Batch Coding Machine has been manufactured using high quality products and material. 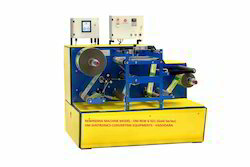 Our clients can avail Motorised Coding Machine for Round Products. Our company capable of providing these machines on customization to suit the varied requirements of the clients within committed time frame. With great effect on high quality printing and packing, it is the necessary equipment for stamping and halfcutting cutting of big size. manufacturing following range of products: contact coders, fast dry batch-printing inks, table top batch printers, marking inks, blister & strip-pack inks, inking rollers & cartridges, on/off line stamping machines, handy & auto coders, hot ink roller, permanent marker inks, election indelible inks, pad printing inks, stacking batch printers, manual unimark coders and more. . . .